It’s not just the UK where turtle doves are in decline. These birds are also in trouble in the Netherlands too. Here, Jules Bos from Vogelbescherming (BirdLife in the Netherlands), shares how people are helping out turtle doves by providing them with a vital food supply when natural sources are scarce. 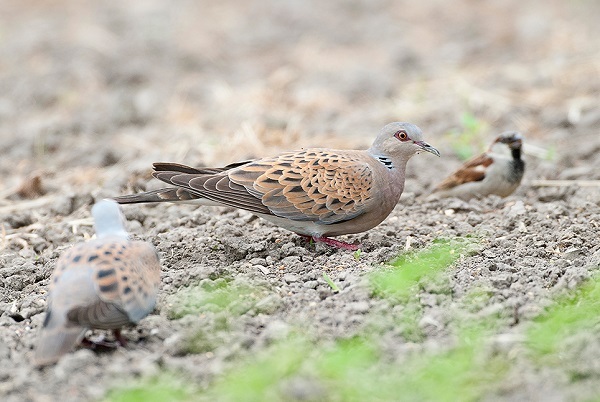 In the brand new Dutch Bird Atlas, based on fieldwork in 2013-2015, the size of the turtle dove breeding population is estimated at 1,200 – 1,400 pairs. In the previous atlas, based on fieldwork in 1998-2000, the population size was still 10,000 – 12,000 breeding pairs. Further back, in the mid-1970s, the Netherlands had 35,000-50,000 breeding pairs. In short, if we do not take action now, it will probably not take long before the turtle dove becomes extinct as a breeding bird in the Netherlands. Although the turtle dove is a well-known species among birders and birdwatchers, there has hardly been any research done on this species in the Netherlands. So, for conservation action we largely depend on turtle dove research from abroad, especially the UK. 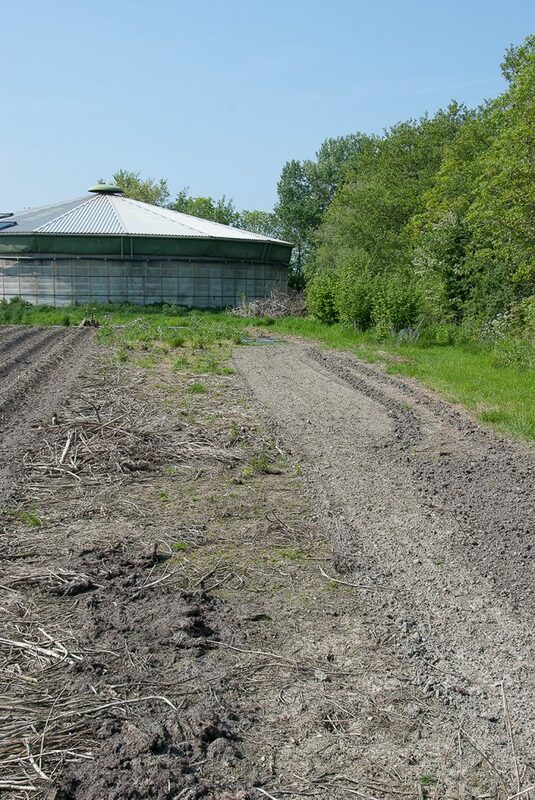 In 2018, Birdlife in the Netherlands has been experimenting with supplementary feeding on a site in Zeeland province in the southwest of the Netherlands. This was inspired by the positive results obtained from supplementary feeding trials in UK’s Operation Turtle Dove. The experimental site was the farmyard of poultry farmer Mart den Hollander, with windbreak hedgerows around his farmyard. These hedgerows still hold breeding turtle doves. Because turtle doves are among his favourite birds, Mart has been feeding ‘his’ turtle doves for a couple of years, using the same feed that he uses for his poultry stock. In 2018 this included a turtle dove seed mix used in aviaries. From the end of May until mid August we carried out weekly two hour observation sessions from a hide. The maximum number of turtle doves simultaneously present on the supplementary feeding site was eight, but much more often we saw two to six birds foraging simultaneously. From the second half of June, turtle doves seemed to use the feeding site less intensively, although we still regularly saw two to three foraging birds. In July juveniles also appeared on the feeding site. Surprisingly, in August the birds were entirely absent from the site. This was despite the fact that turtle doves were still present in Mart’s farmyard, because we heard them singing from the hedgerows. The fact that turtle doves seemed to use the feeding site less intensively later in the summer suggests that by then alternative feeding habitats have become available in the landscape. We can only speculate what these alternative feeding sites might be, e.g. crop stubbles. In another site in Zeeland province we have been mapping territorial turtle doves. After each survey round, we tried to follow territorial pairs in an effort to find out where they search for food. On one day, after having observed first one individual and then one pair for some time, we saw that the individual and the pair suddenly took off and flew in exactly the same direction, to land after a couple of hundred metres. When arriving on the site where they seemed to have landed, we noticed a small house decorated with many nestboxes. We rang the doorbell and were warmly welcomed by the owners. They had been feeding birds in their garden for more than 20 years! They told us that up to 10-12 turtle doves are regularly feeding in their garden, along with many other birds! So, just by simply watching territorial turtle doves, we discovered this second and already more than 20 year old ‘supplementary feeding site’ we did not know about. What a discovery! It is very probable that all turtle doves in the vicinity of this house use the garden of this bird loving couple to feed! Our limited experiences with supplementary feeding so far suggest that turtle doves gratefully use the seeds that are artificially provided to them, especially in the first half of the breeding season. Supplementary feeding may thus be an effective short term solution to solve the food shortage problem for turtle doves. 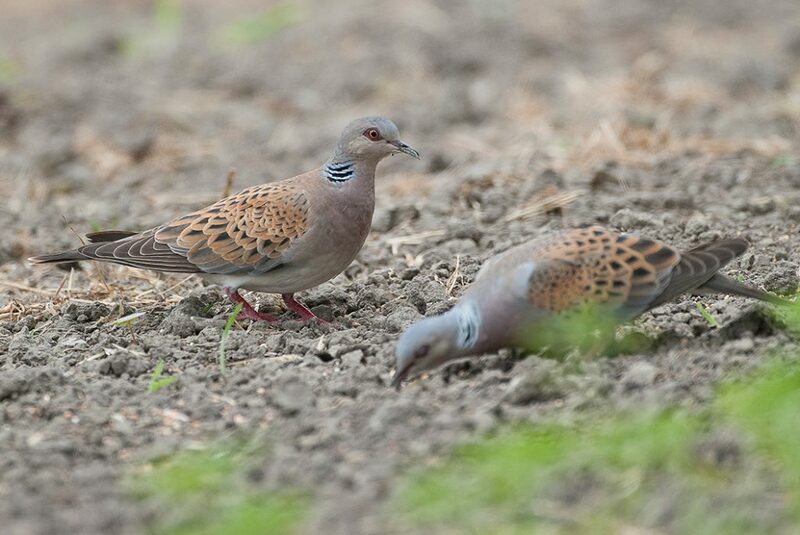 Following the actions listed in the International Turtle Dove Action Plan and the roll out of supplementary feeding for turtle doves in key turtle dove areas in the UK, Birdlife-NL currently explores the possibilities to scale-up supplementary feeding in the Netherlands by 2019. To make a difference at the population level, the main challenge will be to find enough people prepared to maintain a supplementary feeding site throughout the breeding season. In the meantime we should not forget that supplementary feeding is an artificial emergency measure, but not a structural solution. A more structural solution needs to be found, one way or another, in increasing the abundance of weeds and their seeds in agricultural landscapes. It will probably take some time before seed supply is large enough so that turtle doves can survive. Until then emergency interventions such as supplementary feeding can be very useful. Many thanks to Mart den Hollander for feeding ‘his’ turtle doves and for allowing us to monitor turtle doves on his farm. Thanks to Nanning-Jan Honingh for spending lots of warm hours in the hide on Mart’s farm, monitoring turtle doves’ use of the supplementary feed. Jaap Kolijn mapped turtle doves near Retranchement and discovered the garden where turtle doves and other birds have been fed for more than 20 years.